EvoPlay as one of the leading online casino software developers in the industry as the company doubtlessly impressed with its latest release Dungeon Immortal Evil. The company has been present in the industry since 2014 and they specialize in developing b2b technologies and solutions. One division of the company is EvoPlay Entertainment which specialized in developing online casino games. EvoPlay released more than forty video slots which cover a wide range of different themes. All of their games including 3D or high-definition graphical solutions in addition to other top-notch technologies. When it comes to the company’s latest addition to their games collection, Dungeon Immortal Evil slot is an interesting game packed with 3D graphical solutions which make the gameplay much more interesting. With its latest slot, EvoPlay definitely challenged everything traditional, so they launched a unique, fully 3D-technology packed slot with interesting RPG elements. The game actually looks nothing like a traditional video slot as it immediately takes players to a neatly rendered 3D gaming environment set inside some mythical, dark dungeon where evil creatures reside including demons, succubae, and others. 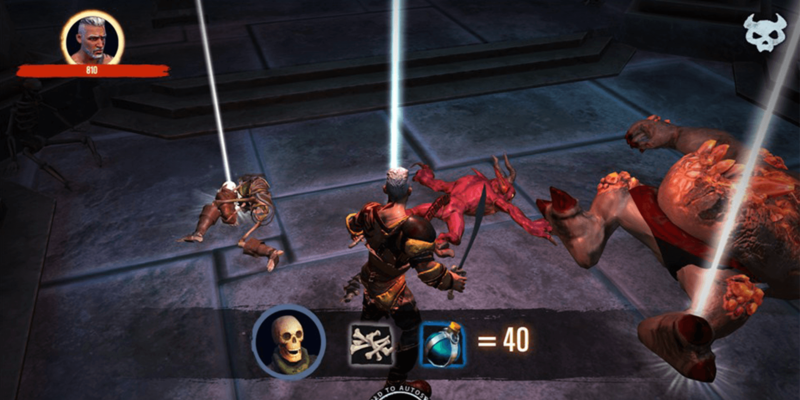 During their Dungeon Immortal Evil slot gameplay, players actually come across these mythical characters which are geared with body armors and swords. As players get rid of these enemies, they actually win coins as well as various items dropped by the characters. While the game combines interesting RPG’s features, no skill is involved as winnings are purely based on an RNG. It should be noted that the game is developed in HTML5 which means that it is fully mobile-optimized. In other words, players can explore this EvoPlay dungeon whenever they want as the game is available while on the go. Moreover, the game is packed with several interesting upgradeable features both for Bestiary and Hero characters as well as with bin win cash rewards and free spins. As the game’s name of the Dungeon Immortal Evil slot suggests, during their gameplay, players actually wander around the massive underground dungeon, so there no classic gaming layout with reels and paylines in the game. The coin values offered in the game range from 0.10 to 500. When it comes to the payouts offered in the game, each symbol featured in the game comes with its own payout rating. For instance, killing Imp Demons brings players 90 coins while killing Inferno brings players 180 coins. The biggest prize of 5.000x players’ stake is guaranteed for killing the dungeon boss.